Browse through the Spruce Meadows real estate listings found below! Spruce Meadows is conveniently located in the east end of Regina just south of Victoria Avenue, and divided down the middle by Prince of Wales Drive. Spruce Meadows began construction on the west side of Prince of Wales Drive. The Spruce Meadows real estate is made up of primarily residential housing built in the 1990s. There is a nice mix of bungalow-style housing, two storeys and two-storey splits along with bi-level homes in Spruce Meadows. Search through the available Spruce Meadows homes for sale found below, or read more into the incredible variety to be found in this East Regina neighbourhood. Double-car garages are the norm, with landscaped front and backyards that show off beautifully matured overhanging boughs. 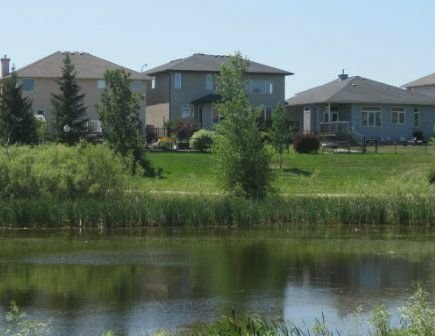 With the growing population in Regina over the past years, the Spruce Meadows homes for sale expanded its borders to the east side of Prince of Wales Drive where new, low-rise condominiums were constructed. These four-storey condominiums have ground floor or underground parking, elevators for your convenience and very neighbourly residents. Spruce Meadows Park and Parkland Park offer residents of Spruce Meadows a sanctuary of green spaces perfect for family picnics, nice evening strolls, and time to relax while the children play on play structures. These two parks connect with Ready Park and the Pilot Butte Pathway that lead all the way to the McKell Wascana Conservation Park. The location of these condos is ideal with direct access to Victoria Avenue and Highway #1. If you'd like to know more about the Spruce Meadows homes for sale, contact the Tourney Group online or call 306-789-1700 to speak with a professional Regina real estate agent.